posted by Billie Owens in news, Announcements, WNYIL, NFRRS. As of Dec. 1st, Western New York Independent Living Inc. (WNYIL) is excited to welcome the Niagara Frontier Radio Reading Service (NFRRS) as the sixth member of their family of agencies! Founded 31 years ago, it's an audio news service for those who are unable to read print publications, such as the blind, dyslexic, those with certain traumatic brain injuries, or who have limited limb use that makes holding publications difficult, etc. This 24-hour/7-days-per-week service brings community newspapers, magazines, and books into the homes and ears of its constituents all across Western New York and Southern Ontario, Canada. This function makes NFRRS a natural to join a collaboration of agencies that work to bring knowledge to people with disabilities who wish to stay informed, make their own decisions, and participate in their neighborhoods. At present, a listener must have a special radio set to receive the side band audio channel that WNED-FM provides to be able to enjoy it. While they are provided at no cost, an annual donation would be appreciated. A cadre of dedicated volunteers reads from The Buffalo News, USA Today, Niagara Gazette, The Wall Street Journal, the Sunday edition of The New York Times, various popular magazines, best-selling fiction and nonfiction books, one hour per week of old-time radio, and, the most popular features: the Death Notices, Horoscopes and Tuesday supermarket ads! NFRRS is always seeking more service participants and volunteer readers, including those who can read but have other disabilities. A survey will be going out to existing participants to determine what’s working in the service and what can be improved. A majority of the more than 100 audio information services in the United States stream their broadcasts on the Internet, and WNYIL is exploring that option to determine if that would be embraced by current and potential participants. To get additional information on NFRRS, call Program Manager Nick Aldrich at (716) 821-5555.
posted by Billie Owens in news, Announcements, The Gift Shop, batavia, senior center, Seniors. Stop by and visit The Gift Shop, located in the Senior Center at 2 Bank St. in Downtown Batavia between the Arts Council and the YMCA. The daily display of reasonably priced unique gifts, women's accessories including scarves, ponchos, purses, and jewelry is ever changing and now dressed up for the holiday season. Come and enjoy this charming shop and meet the friendly volunteers and staff. The gift shop is easily accessed and open to the public from 9 a.m. to 4 p.m. Monday through Friday. Browse, and take home fun gifts galore for your loved ones. The bright, beautiful apparel, seasonal housewares and decorations will be perfect for you, your family and friends. The proceeds are devoted to providing popular wellness activities for our local older adult population giving them affordable opportunities to socialize and participate in community-related trips, local events, and activities offered throughout the year. For more information, please call 585-343-1611 and ask for Mary. posted by Billie Owens in Genesee County Health Department, news, Announcements, radon, lung cancer. Did you know that exposure to radon is the second leading cause of lung cancer after cigarette smoking? According to the U.S. Environmental Protection Agency (EPA), approximately 21,000 lung cancer deaths per year are related to radon. Many people are unaware that radon may be a problem in their homes because it is a radioactive gas that you cannot smell, taste or see. The good news is that lung cancer related to radon exposure can be prevented by testing your home. So where does radon come from? Radon gas forms naturally in the ground from the breakdown of uranium in soil, rock, and water that circulates into the air we breathe. When radon is formed under homes and buildings, it can easily enter through cracks in the foundation, walls, joints, dirt floors, opening of sump pump, in well-water supply, and from gaps around suspended floors and pipes. Paul Pettit, Public Health director of Genesee and Orleans counties, explains the dangers relationship betweensmoking, radon, and lung cancer. Testing your home is the only way to know if you and your family are exposed to radon. A short-term test kit is the quickest and easiest way to test your home. The EPA recommends testing the lowest level of your home where people spend time. If you use part of your basement for living space, like a playroom, office, or den, test there. If you only use your basement for storage, test the first floor. Avoid testing in places that are damp like the kitchen, bathroom or laundry room. The EPA recommends that you take action to reduce your home's indoor radon levels if your radon test result is 4 pCi/L (pico curies per liter) or higher. A radon reduction system can be a low cost and effective way to reduce the level of radon in your home. If you are purchasing a new house, make sure the seller completes a radon test and has the results available. If you are building a new home, make sure to have radon-resistant construction features installed and tested prior to moving in. For more information on radon, please visit here. For more details about the program or to receive any of these services call the department at 585-344-2580, ext. 5555, ot visit here. posted by Billie Owens in 4-H, news, Tractor Safety, Announcements. The Genesee County 4-H Program will be offering a Youth Tractor Safety Program beginning in January 2019. The program is open to all youth ages 14 to 15 and covers farm safety, tractor safety, tractor operation and other related topics. The National Safe Tractor and Machinery Operation Program is a certification program that enables youth be certified to operate farm equipment for hire. After completing the training course, youth will need to pass a written knowledge test and driving test to receive the certification. The program is scheduled to run Saturdays, 8 a.m. to 12 p.m., January through March. The fee for the program is $30. Youth are also required to be current enrolled 4-H members. Instruction takes place at various farm machinery dealerships countywide. To request a registration packet or more information, please call the Genesee County 4-H Office at 585-343-3040, ext. 101, or visit the website here. posted by Virginia Kropf in news, Le Roy, WWII, Sullivans, Announcements, Darien. Rob R. Thompson, of Attica, has written 15 books, four of which were bestsellers, but his favorite so far is the story of the Sullivan brothers who were all killed on the USS Juneau during World War II. 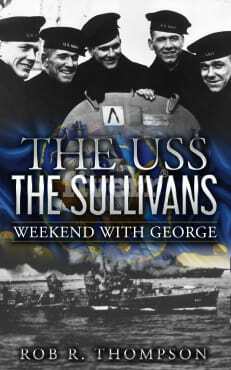 Thompson will be at Le Roy’s Moose Lodge today (Saturday) to sign copies of "The USS The Sullivans" until 3 p.m. during the Le Roy Winterfest. His book is not about the bombs, guns and steel which made up the ship, but rather it combines emotion, history and paranormal events surrounding the ship. While researching for his book, Thompson spent three nights on the ship anchored in Buffalo’s Naval Park. Thompson covers the history of the cruiser and details the life of Eugene Straub, originally of Darien, who was also lost aboard the Juneau. During his research, Thompson located Straub’s daughter, now 75 and living in Utica. The book is available online, as well as at the book signing. posted by Billie Owens in volunteers for animals, genesee county animal shelter, pets, animal rescue, pet adoption, news, Announcements. Meet pale-coated Pearl, a lovely little buff-and-white, golden-eyed feline that, despite her inherant glamour, was found in a dumpster. She is awaiting a forever home at the Genesee County Animal Shelter. 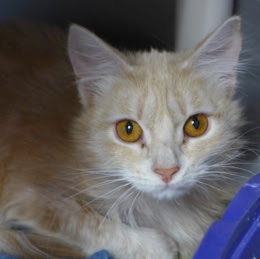 Pearl is an adult; she's spayed and sweet-tempered. She loves attention. That means she will enjoy having a pal who pets her and laughs when she tries to catch the laser beam at playtime. She prolly goes bonkers with a catnip mouse. Another solid friend waiting for new digs is named Zeus. You remember Zeus, king of the Greek gods who lived on Mount Olympus. He was the god of the sky and thunder. His symbols include the lightning bolt, the eagle, the bull, and the oak tree. He was married to the goddess Hera. That one. 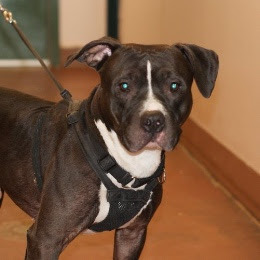 Well, this Zeus is not married to the goddess Hera and he's a four-legged canine -- a pit bull-terrier mix who is not as complicated as his mythological namesake. He likes long walks and is described as simply "a nice guy." He also "trains well for treats." Meaning he's motivated to do all sorts of things, like sit, down, stay, etc., if there's something edible in it for him. He's also very handsome. If you and your family need a quality companion to make your holidays brighter, look no further that the shelter on East Main Street Road in the Town of Batavia. You won't regret it. Speaking of the shelter, they could use some supplies. Now that the calendar has put you in a gift-giving frame of mind, why not donate to the Volunteers for Animals? Or bring in some useful items like Purina Cat Chow, plain non-clumping litter, bleach, paper towels, dog food, small pet beds, etc. Sunday, Monday, Tuesday, Friday -- 1 to 3 p.m.
posted by Billie Owens in news, Announcements, sexual assault victims, domestic violence victims, ReStore. Local victim assistance providers are asking supporters to help raise awareness in a crafty way this holiday season by making teal and purple scarves. RESTORE Sexual Assault Services, Willow Center and other agencies that assist survivors of sexual and domestic violence, offer free services because they are funded in part by a law titled the Violence Against Women Act, or VAWA. In Genesee, Livingston, Monroe, and Orleans counties RESTORE offers support to survivors of sexual assault. In Wyoming County, RESTORE is the provider for both sexual assault and domestic violence services. Willow Domestic Violence Center has provided services for the Greater Rochester community for nearly 40 years and reaches more than 7,000 people in Monroe County each year. Sojourner Home: The House of Strength provides shelter, structure, strength, and inspiration to women, their families, and others in need so they are prepared to lead responsible and meaningful lives. VAWA, a federal funding bill which provides for survivors of all genders, is up for reauthorization soon, and RESTORE, Willow Domestic Violence Center and Sojourner Home are working together and invite the community to show their support for survivors. Teal is the official color of sexual violence awareness and prevention. Purple is the designated color for domestic violence awareness. To show support for survivors and programs that assist them, donations of teal or purple-colored scarves (knitted or crocheted) are needed for distribution to survivors and their loved ones. Scarves should be at least six inches wide and 72 inches long. More information (or to coordinate a drop-off in Livingston, Orleans or Wyoming county) is available at 585-786-5450 or by emailing [email protected]. RESTORE, a program of Planned Parenthood of Central and Western New York, leads the community response to sexual violence through advocacy and education by providing the safety, support and validation that changes the lives of all those affected by sexual assault. Trained counselors are available 24-hours a day, seven days a week to provide information and support, enabling clients to make informed choices concerning medical, legal and counseling needs, while offering advocacy and information about their rights. Counselors also offer short-term counseling sessions and legal and medical accompaniment. Services are free and confidential. posted by Billie Owens in Batavia Players 2019 schedule, news, Announcements, theater. The 2019 season is full of variety and sure to appeal to a wide audience. New this season: performances of Shakespeare in Springtime will also take place in Wyoming County at the Wyoming Village Hall. 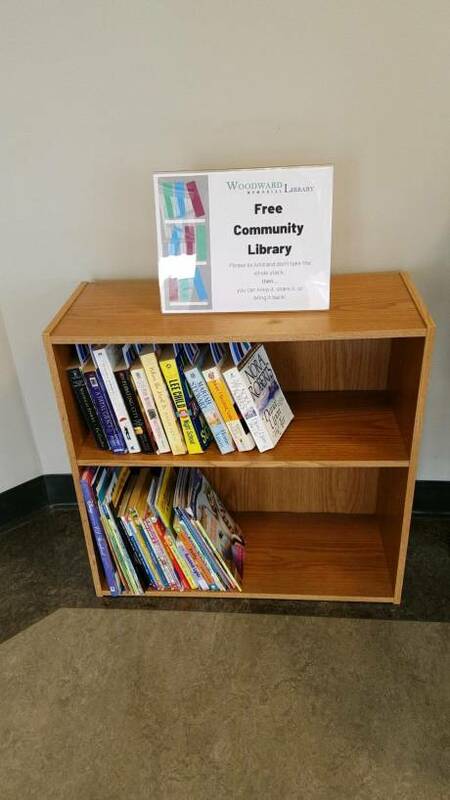 posted by Billie Owens in Le Roy, woodward memorial library, news, little free library, Announcements. In cooperation between the Woodward Memorial Library and the Le Roy town government, a permanent "free library" has been set up in the Town Hall at 48 W. Main St.
All residents and visitors will be able to access the library during the Town Hall's regular business hours. The library is managed by the Woodward Memorial Library staff, who will deliver books for all ages once a month -- more frequently if necessary. Books are completely free to individuals who wish to take one or two. The Library reached out to the town government about starting a free library in the Town Hall to provide an additional resource to the community. It is a central location for people passing through town. It also can provide entertainment for children while their parent/caregiver is taking care of errands in the building. They will be able to pick out a book to read while they're there but then take it home as well. posted by Billie Owens in news, Announcements, 4-H, byron, batavia. 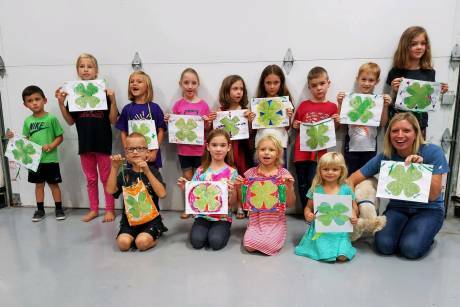 Submitted photo: New Clever Clovers 4-H Club – Byron. The Genesee County 4-H Program is looking to grow more local clubs. Want to start your own local 4-H club but don’t know where to start? You can start a 4-H Club in five easy steps! posted by Billie Owens in news, Announcements, batavia, veterans. 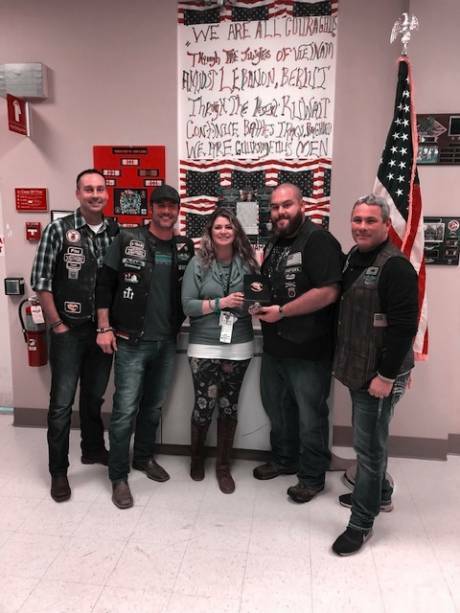 CVMA 19-6 Broken Arrow chapter donated $1000 in gift cards to the VA PTSD Residential Programs on Monday (Nov. 19) at the Batavia VA. The gift cards to Walmart, Tops and Target will be used to enhance programming for veterans while at the facility. It gives us so much joy to able to give back with all the help from the folks that contribute to “Vets helping Vets," an organizer said. The nonprofit Combat Veterans Motorcycle Association is a group of combat veterans who joined together to form a brotherhood of men and women who have in common the trials of serving in defense of our country and the love of riding. 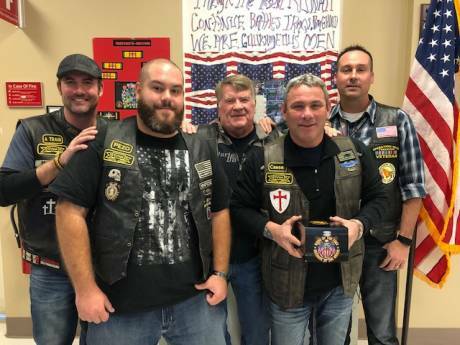 The association is comprised of combat veterans, supporters, and auxiliary members who share a love of riding motorcycles. Its mission is to support and defend those who have defended our country and our freedoms. The Western New York Chapter is based in Akron. Below, from left, are: Andy McCann, Patrick McCann, Chad Liggetto, Brian Fitzgerald and Nick Pilozzi. posted by Billie Owens in pancakes for paws, K9 Fund, police dog fundraiser, Elba Elementary School, news, Announcements. "Pancakes for Paws" flapjack fundraiser to benefit the Genesee County Sheriff's Office K9 Fund will be held from 8 to 10 a.m. on Sunday, Dec. 9, at Applebee's Restaurant in Batavia. This event is sponsored by the Elementary School Council of Elba Central School. Applebee's is located at 8322 Lewiston Road. Deputy Christopher Erion -- a 1993 graduate of Elba Central School -- recently lost his K9 service dog Destro to cancer. The initial cost to get another police dog is estimated to be nearly $15,000. posted by Billie Owens in charity, nonprofits, news, Announcements. BUFFALO – The Community Foundation for Greater Buffalo is now accepting applications for the 2019 Ralph C. Wilson Jr. Legacy Funds competitive grant process. Applicants must be a 501(c)(3) nonprofit organization located within the eight counties of Western New York, including: Allegany, Cattaraugus, Chautauqua, Erie, Genesee, Niagara, Orleans and Wyoming. For Caregivers and Design and Access grants, government agencies also may apply. *For Community Assets grants, only 501(c)(3) nonprofit organizations that reside in Erie County may apply. Applications are due Jan. 7. The Community Foundation for Greater Buffalo, a 501 (C)(3) organization, was established in 1919 to enhance and encourage long-term philanthropy in the Western New York community. The Foundation’s mission is: Connecting people, ideas and resources to improve lives in Western New York. For nearly 100 years, the Community Foundation has made the most of the generosity of individuals, families, foundations and organizations who entrust charitable assets to its care. For more information, visit www.cfgb.org. The Ralph C. Wilson Jr. Legacy Funds were established at the Community Foundation to provide support to four areas that were important to Mr. Wilson: caregivers, community assets, design and access, and youth sports. Endowment funds, like these created to honor Mr. Wilson, are designed to grow over time and provide funding for charitable causes according to a client’s wishes. posted by Billie Owens in Le Roy, le roy ambulance service, news, Announcements, blood pressure screening. According to the American Heart Association 46 percent of Americans have been diagnosed with high blood pressure. High blood pressure threatens your health and quality of life. Left untreated, it can cause stroke, heart failure, vision loss, heart attack, kidney disease, and sexual dysfunction as well as a variety of other health problems. Le Roy Ambulance Service recognizes these risks, and is now offering free blood pressure screenings to members of the public. We will check your blood pressure for free as often as you’d like and track it over time to monitor for changes. If you’d like to take advantage of this free service, simply stop into the Le Roy Ambulance base between 9 a.m. and 9 p.m. and our on duty crew will be glad to assist you. It is located at 1 Tountas Ave. in the Village of Le Roy. If they do not answer the door, they are likely out handling a 9-1-1 call and we would ask that you stop back at a later time. As always, if you have an emergency please dial 9-1-1 immediately. Le Roy Ambulance is proud to support preventative health measures to work toward our goal of a happy, healthy community.